Clockwise route. The tour starts in Pinzolo . The church of San Vigilio has the famous Danse Macabre painted by Simone Baschenis. Immediately after the bridge over the River Sarca, turn left and take the road for the Genova Valley and the famous Nardis waterfall (the journey up and down this lovely valley is 12 km). After the Nardis waterfall, it is possible to go to the Bedole Refuge, a not-too-steep walk of about 10 km through fields and woods. Back on main road no. 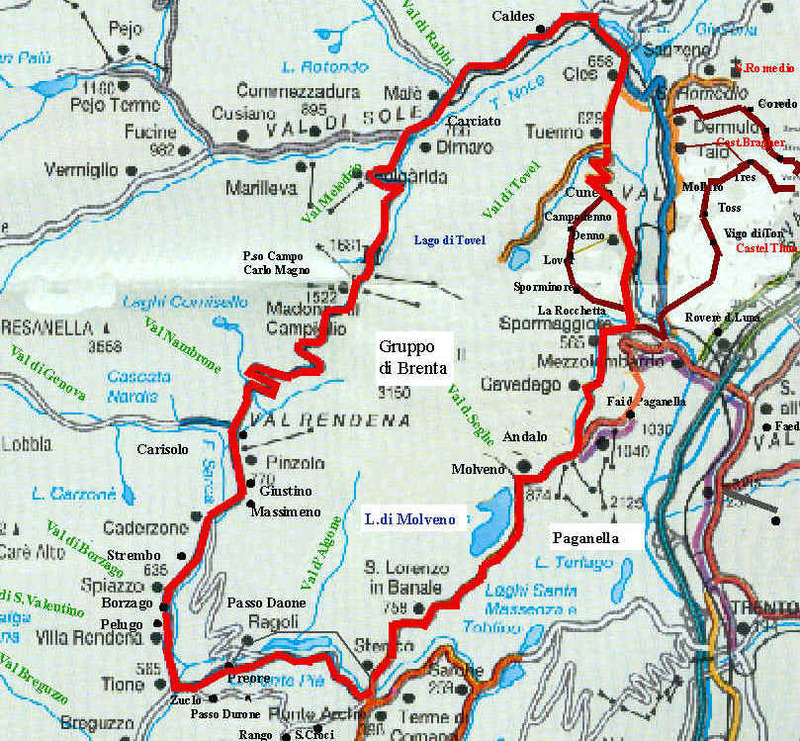 229 head for Madonna di Campiglio: the road begins to climb and just before it comes to Sant’Antonio di Mavignola, on the left near a hairpin bend, is the turn-off for the Nambrone Valley through which the River Sarca di Nambrone flows. 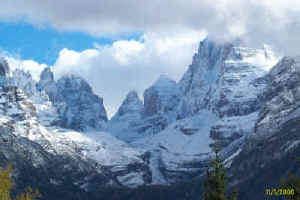 Madonna di Campiglio (1,522 m.) lies 65 km from Molveno. Here there are various opportunities for excursions into the Brenta Dolomites (Vallesinella, Casinei, Grostè) or into the Adamello-Presanella Group (5 lakes tour). After Madonna di Campiglio you come to the Campo Carlo Magno Pass (1,681 m.) which comes out in Dimaro (776 m., 81 km from Molveno), a resort famous for winter sports (part of the Folgaria-Marilleva ski complex) and for river sports (canoeing and rafting) on the River Noce. In Dimaro turn left to go along the Sole Valley. 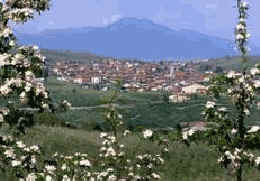 After 7 km you come to Malé, the main town in the Sole Valley (738 m.). An interesting option here is a detour into the Rabbi Valley (1,095 m., 12 km from Malé), one of the most attractive in Trentino with its many villages on the banks of the River Rabbies. In addition to the spa baths, the Visitors Centre of the Stelvio National Park and the little museum of traditional cheese-making (Somrabbi) are well worth a visit. 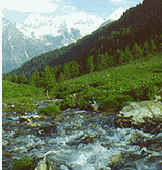 20 km from Cles (and 108 km from Molveno), after the Mostizzolo bridge, you come to Cles.